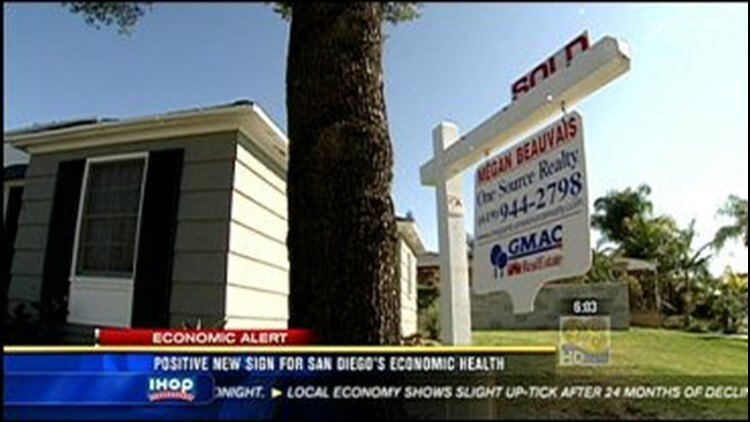 There may be a glimmer of hope on the horizon for San Diego's economy, as an index gauging the county's economic health rose 0.2 percent in April. The county reported that the number of building permits is up, as are local stock prices. Consumer confidence is also climbing. Home sales are up over 40 percent compared to the same period in 2008. However, unemployment county-wide remains at more than 9 percent, with 45,000 fewer jobs in the area compared to the same period last year. Experts said the economy will not start to turn around until the end of 2009 or the beginning of 2010.